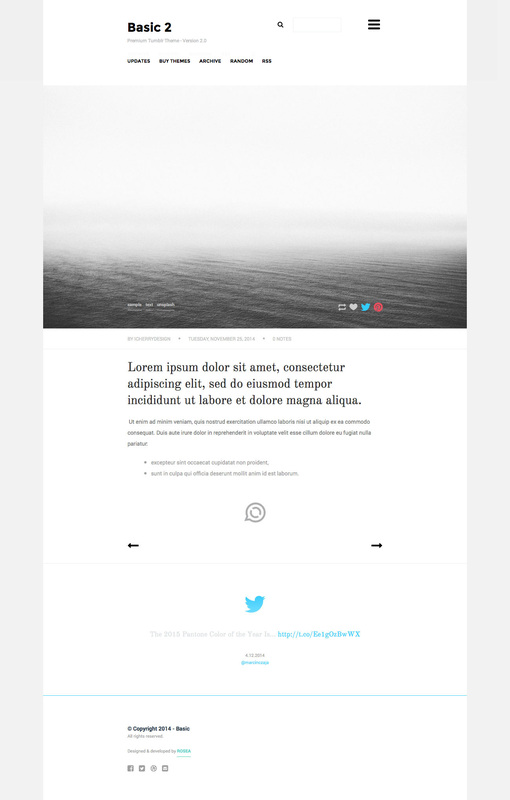 Basic is an unique, minimalistic, single column and clean premium tumblr theme. The best choice for bloggers, artists, photographers and designers. 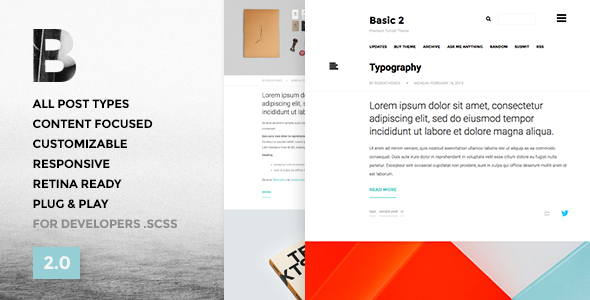 Theme supports all Tumblr’s post types and it’s suitable to run any kind of blog. If you find any bugs, have any issues with installation or have new feature requests please contact us. We will respond within 24 hours.